An all-day VIP-only brand launch event hosted at Peter Gabriel’s Real World Studios on Thursday 30th October 2014. 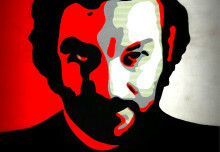 Soundtrack by David Pieralisi. Guitar: 1964 Hofner. 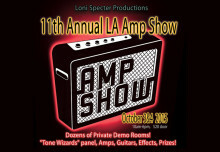 Amp: M ZERO Standard. 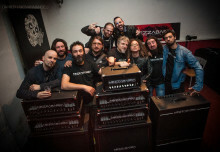 Used by an ever-growing number of artists worldwide for more than a decade, Mezzabarba amps are custom-built, all-tube beasts which are entirely hand-made in Italy. Based on 100% original schematics, point-to-point wiring on all flagship products, top of the range components, custom-wound transformers and a no-compromise philosophy, these amps feature a response and dynamics which are truly unique and modern. Their ability to deliver an unusual combination of raw power, warmth and crystal clear tone allows the same amp to reach an unrivalled range of sounds, spanning from fusion, blues, rock, funk, all the way to brute metal. Mezzabarba amps are not played, they are worn – such is the seamless precision and synergy that you will experience the very instant you plug in your guitar in any of this amps. Mezzabarba lands in the UK!